Come check out our “Renaissance” Town of Celebration and our New Osceola County Library! Survey: Orlando’s really smart – seriously!!! Orlando was one of three Florida cities to make the Top 10 in a new “America’s Smartest Cities” ranking. Pittsburgh topped the list as the brainiest place in the nation, with Orlando placing second. Movoto, the real-estate blog, ranked Tampa sixth and Miami 10th. The list, Movoto wrote, was based on universities and colleges per person; libraries per person; education level; media per person; museums per person; and public-school rank. Traditional Colonial Revival Estate Home offers custom architectural features. Over 6,800 SF of living space that includes 6 Bedrooms plus 6.5 Baths. 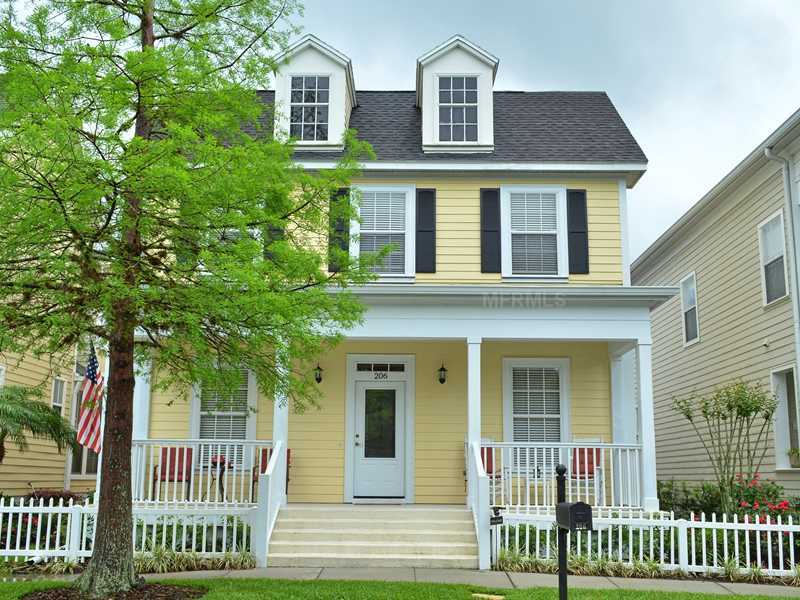 Features: Custom mill work on archways, crown molding, gleaming oak hardwood floors & staircase, plantation shutters throughout, Anderson double pane windows & sliding doors, energy efficient 6 zone A/C system (including one for the Garage). As you enter the Foyer the Library is to the Right with Lighted Pecan Bookshelves and Ladder, on your left is the Formal Dining room. Family Room boasts full wall of custom built-ins that surround the fireplace & TV area. Sliding glass doors lead to Screened covered Lanai & Pool/Spa Oasis w/ full views of golf & natural pond. Separate Brick enclosed BBQ Grill & Garden area with custom outdoor accent lighting. Gourmet Kitchen includes: Custom Cherry Cabinets, Granite, Center Island w/Prep sink, GE Monogram Refrigerator & double Convection Ovens plus accent lighting. Master Suite w/Glass doors to Pool with fabulous views of water, wildlife and of course Golf! 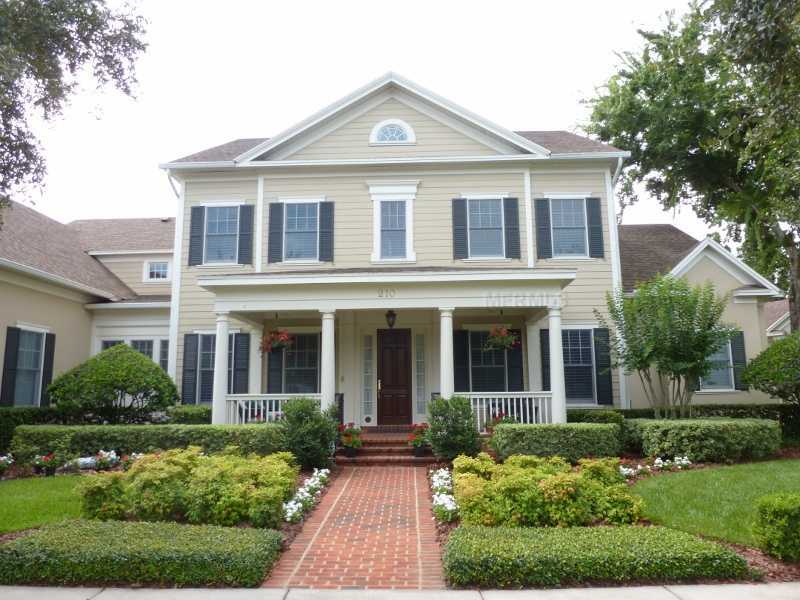 Master bathroom has raised granite vanities, large shower & Jacuzzi Tub with LG walk-in closet. Two additional bedrooms are located on the main floor. Laundry rooms located on 1st & 2nd Floors. Second floor has XL Game Room plus 2 bedrooms and Air Conditioned Attic Storage. Third floor has 37’x14′ Bonus Room perfect as Executive Office w/ Full Bath. Room has panoramic view of golf. Note: Special Closing Cost Incentive awaits discerning Buyers with an acceptable executed contract by 8/1/13. Imagination Realty is pleased to provide the Celebration Real Estate Sales Totals for May 2013. Please click the two links below to review the SOLD/CLOSED Single Family and Multifamily (condos, townhouses,villas) properties in Celebration as reported on the MLS. Click the link below to see details of the 7 Multi Family homes reported as SOLD/CLOSED. You are currently browsing the Imagination Realty blog archives for June, 2013.